Tune into State of Sarah, every Thursdays only on Seriously Sarah. That’s what it would sound like if this was on a TV channel. So there. You have to use your imagination for the voice over. 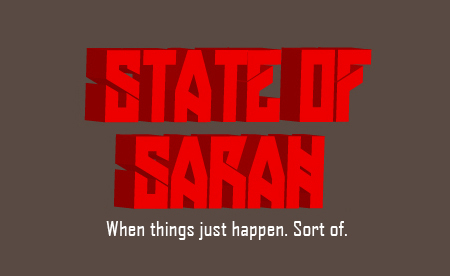 Unlike my Monday posts on adventures around Singapore or Extended Edition which is like an extra supplement to the Monday posts or general extra things, State of Sarah is going to be about me (GASSSSSP!). This is a blog after all. So if you’re missing reading blogs that aren’t advertorials or lists, this is it for Thursdays, Singapore time. State of Sarah because SoS so ahhhhhhhh help me or something. Meanwhile, what have I been doing? Quite a bit of video production managing really. The short version: I quit my job in 2012 to work on my books and in the meantime I am working temporarily at a friend’s company for a bit of money or other places now and then. Some weeks ago, I had to draw a storyboard for a TVC (that’s television commercial). Yeah. 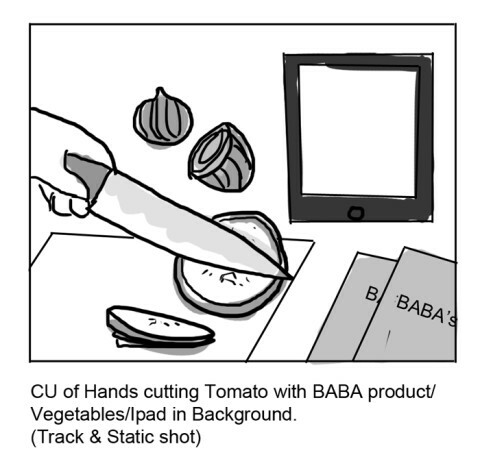 I’m not a storyboardist but apparently this actually helped visualise? So you know, even the most basic of drawings really help in planning how it will look like. So ok, wow. You know when in (film/design) school they say it’s ok if it’s a stick figure or whatever as long as you can KNOW the shots? Well, hey if it this kind of storyboard art is ok for just reference, then yay. Mind you, this kind of storyboard art isn’t used for animation or for animation students because they should be able to draw the characters fully including the background. And oh, this is how the actual thing looks like! If you watch local TV, it’s on Vasantham and I think, in some weeks or months it should be also screened in Malaysia too? During lunch, it was the first time we had ‘catered’ food since Chef Arfin was the art director and cooked for us too besides for the ad. So ooh my, we had briyani rice and curry which was very, very delicious. Ah ok, besides that curry ad, I’m still working on my stories. There’s so many titles that arrrrgh. I’ll have to find one of those progress bar widgets and install in each of these SoS posts and do little previews like how the cool authors are putting it below their posts to show how many words left. Ps. 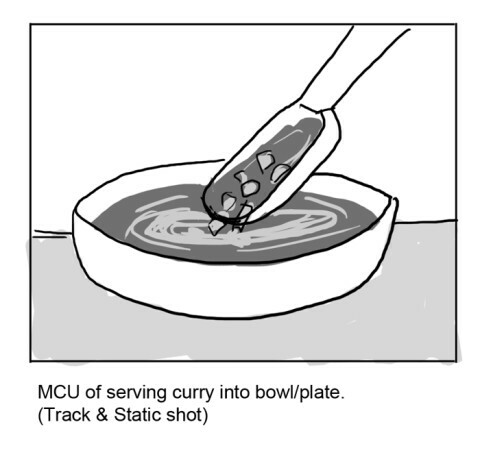 Eat curry with plain yogurt if you’re not lactose intolerant. It is such a beautiful balance of the curry’s spicyness and the yogurt’s cooling tangy-ness. Husband goes to kitchen. Sees curry. Swipes a taste. Wife notices. Gets angry. 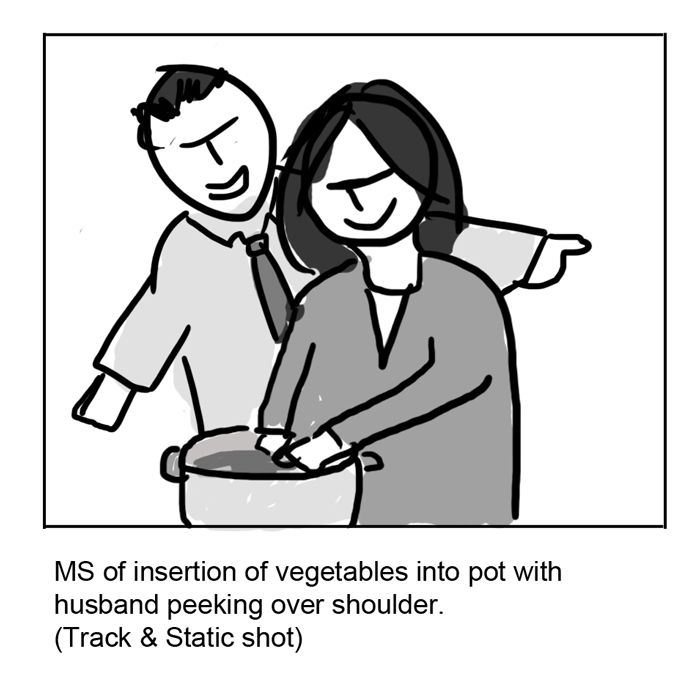 Beats up husband for contaminating curry. Fade out. Babas Curry. So good that you get mad. Previous Previous post: Love out loud… Asia?